Enough! Living small does not equal living cramped – at least, it doesn’t have to. Take a look at our 10 clever tips to help you out with your small-space living. Bunk beds are fantastic for saving up floor space – and here you thought they were just for kids! Well, just see how stylish and mature this bedroom looks above (complete with built-in closets), with dusty toned timber making for a very trendy space-saving sleeping solution. Is your garden/terrace/balcony looking a bit small? Is your need for some lush plants and fresh flowers non negotiable? 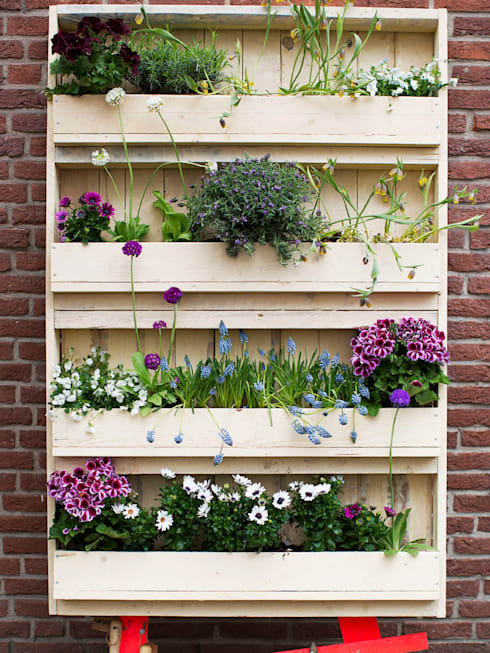 A vertical garden is your answer. Opt to display your beautiful foliage against the wall in some colourful pots, either wall-mounted or on floating shelves. Or go for the tried-and-tested pallet option, shown above. Here’s a fact: a clean floor is a spacious-looking floor. So, if you need some more cupboards for your soaps, toothbrushes, and other bathroom goodies, leave the floor and opt for the wall instead. 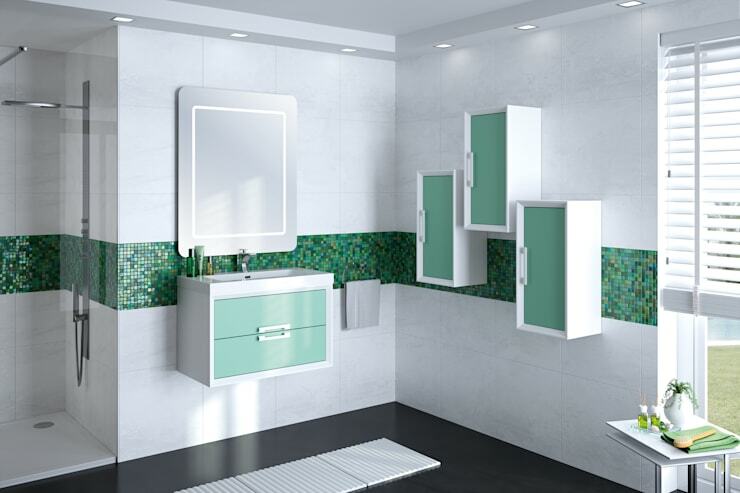 These wall-mounted cubbies are perfect for the smaller bathroom, leaving the floor underneath open for visual spaciousness, or more storage space if you really really need it. Yes, we know the pain of having a small bathroom, but “small” doesn’t have to mean “overcrowded”. If you’re running out of floor- and wall surfaces for displaying/storage purposes, then how about moving those shampoos and bath salts to your tub? 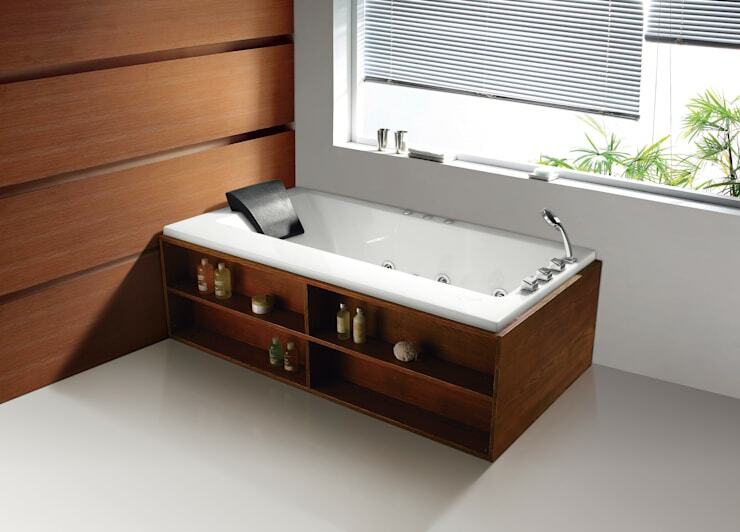 K-Bath above treats us to this ingenious solution, which looks most modern and stylish. And best of all: no getting out of the tub in case you forgot your conditioner or back scrubber! 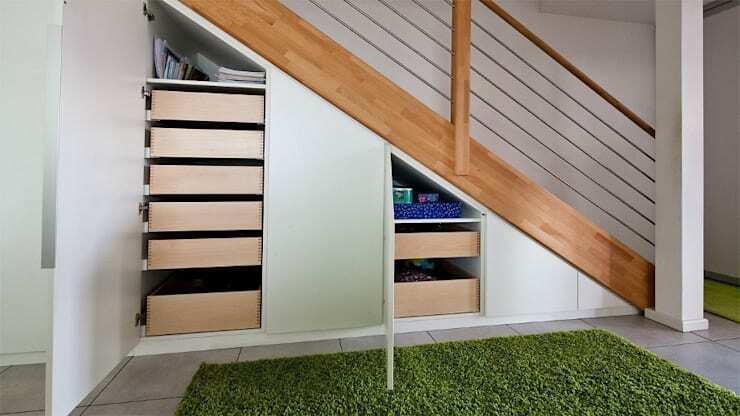 Your staircase can do more than just take you from floor A to B; it can also help you with storage issues if your house is a bit on the small side. 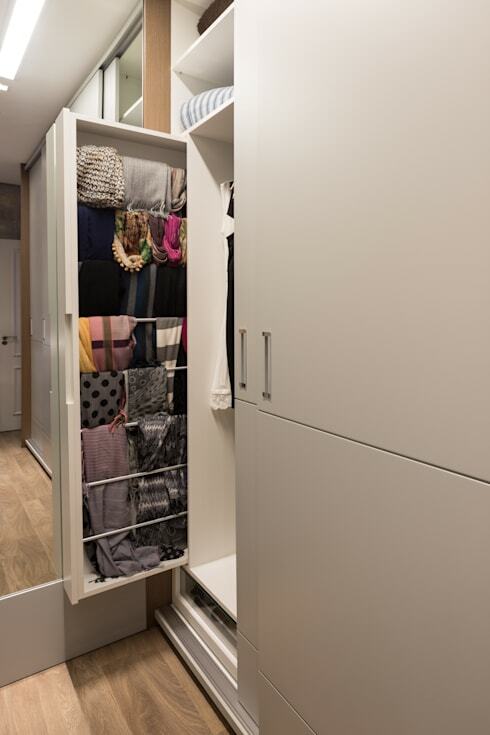 Just see how perfect these built-in drawers conjure up secret hideaway spots – and they even allow you to close the cupboard doors on that storage in case it gets a little cluttered and a friend drops by for a visit. This may seem like a small solution, yet it works perfectly. 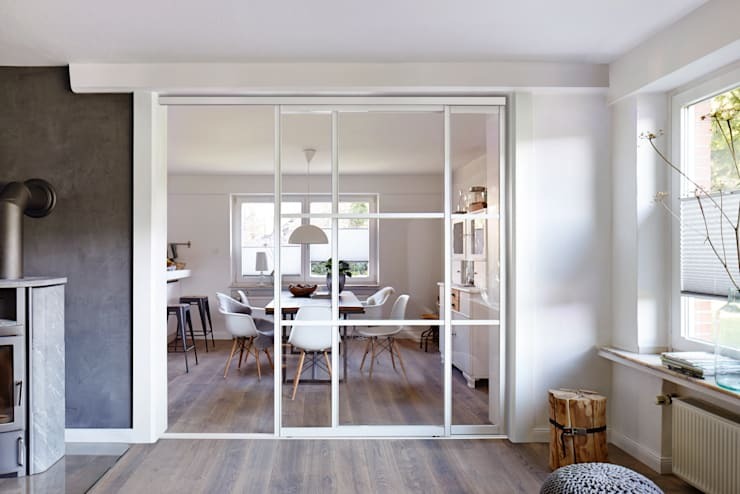 Sliding doors are fantastic at separating areas (as that is the purpose of the common door! ), yet they can be opened and closed without occupying any extra floor space. But for the real pièce de résistance, go with glass doors; they create a lighter and brighter design as they are more open and, thus, visually spacious. 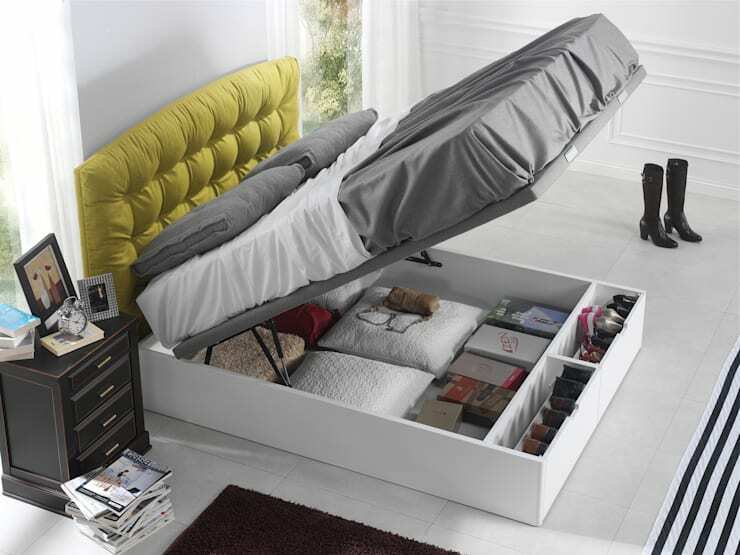 There is another storage solution once your bedroom closets are packed to the brim; under your bed. Either opt for neat/decorative boxes containing your shoes, seasonal clothes, or whatever else packed neatly underneath your bed, or go with something like our example above, where the bed is specifically designed to help you out with additional storage. Looking to zhoosh up your sleeping spot? Then you need to check out our: Creative alternatives to standard double beds. We understand the annoyance of a shopping addiction paired with a small closet. But have you considered something like our solution above? Built-in compartments that neatly slide out, saving you extra legroom inside your closet. This is perfect for hanging up small items such as scarves, shirts, and underwear. Ah, the beauty of creative thinking! Whether you are living in a small space or not, there is no denying the unique appeal of double-duty furniture, such as this nifty little model above. 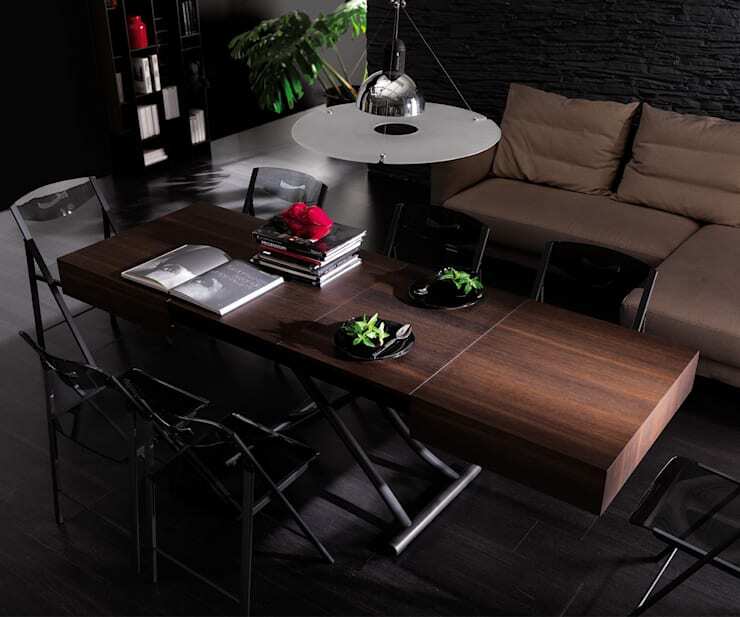 It’s a coffee table and dining surface in one! Simply pull out those side areas to make for an elongated surface, as well as lengthen the legs for a higher setting: ta-da, dinner is served! Speaking of multi-functional furniture, this piece is everything you want in one: a bed, TV unit, storage space, display zone, closet, and shoe storage! 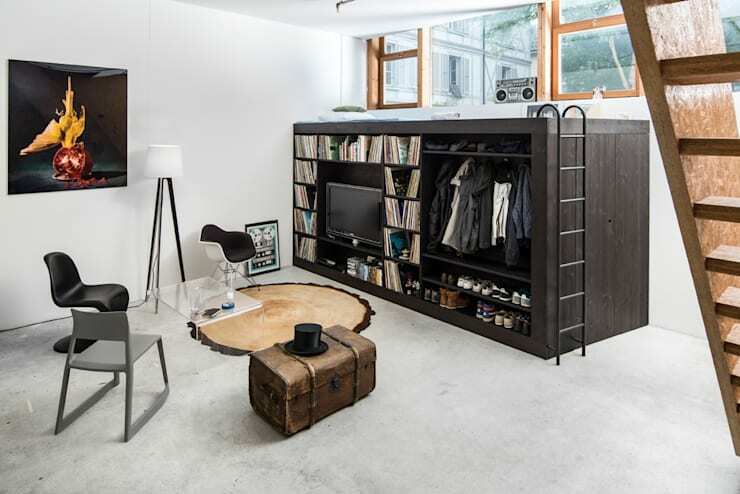 Brought to us by Living Cube Furniture, this clever design ensures that any small-space dweller can live to the maximum by using minimum space! Can you think of any other tips that might help with living in small spaces? Then share with us below!